StatMap have been approved by the UK Government’s Crown Commercial Service as suppliers of cloud-based GIS (Geographic Information Systems) to the latest version of G-Cloud (G-Cloud 7), which went live on Monday 23rd November 2015. Almost the full stack of StatMap software is offered as “Software as a Service” (SaaS), including Earthlight (our flagship corporate intranet enterprise GIS), Aurora (our enterprise and public-facing GIS application), Cluster (our advanced reporting analytical engine), and Meteor (our INSPIRE data publishing service). This means that buyers will now be able to more easily find and purchase our software. It also means that buyers no-longer have to host the software on their own infrastructure, and are able to take advantage of the cutting-edge server technology that StatMap are utilising. The G-Cloud is designed to drive the wider adoption of cloud computing in the public sector and deliver a more efficient, competitive and cost-effective way of buying IT services. It means that public sector organisation no longer need to do undertake a full Office Journal of the European Union (OJEU) or Invitation to Tender (ITT) exercise as the open procurement for each of the G-Cloud frameworks has already been completed. Marcin Goralski, StatMap’s General Manager, said, "This is another step forward for StatMap in its evolution into the leading innovator for intranet, internet and cloud-based enterprise geospatial software and services. This will enable organisations to take advantage of the unparalleled cloud-based functionality and power of StatMap products without having to host it themselves. 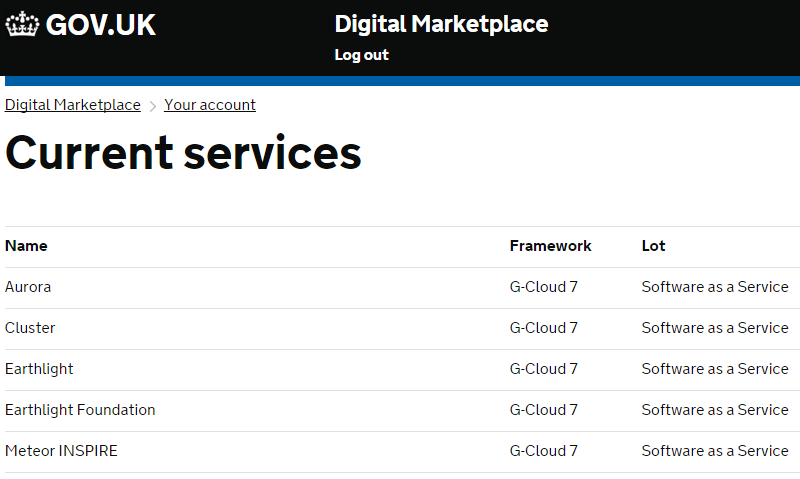 At the same time the G-Cloud framework simplifies and smooths the entire procurement process and provides additional cost-savings, aside from those already experienced through use of our products, to our expanding list of client organisations."